Tea comes from the Camellia sinensis plant and is second only to water as the world's most consumed beverage. There are five main types: black, oolong, puerh, green and white. 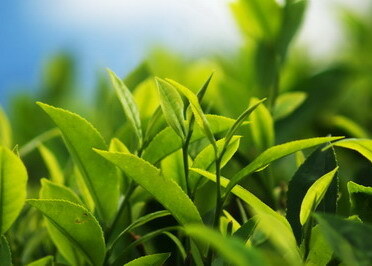 They all begin with green leaves from Camellia sinensis but are processed differently to create each category. 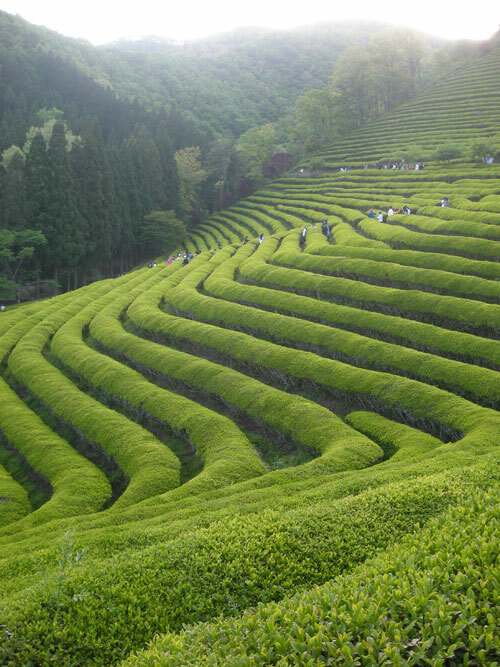 Like wine, tea's taste is influenced by climate, soil, and growing conditions. Differences in these variables mean that no two gardens produce identical-tasting tea. In addition, tea is often blended with flowers or fruits to create unique flavors. There are literally thousands of choices for tea lovers. Many consumers do not realize that herbal tea is really not 'tea' at all since it does not originate with the camellia sinensis. Instead, herbal tea is actually an infusion or tisane created by infusing herbs in hot water. Popular tisanes are made with chamomile or peppermint. Other enjoyable infusions such as "red tea" are made with a South African bush called rooibos. All tea contains some caffeine, but tea has less caffeine per cup than coffee. Generally speaking, black tea has the highest caffeine content followed by puerh, oolong, green and white tea. Herbal tisanes and rooibos infusions are naturally decaffeinated. Though no one really knows exactly when tea drinking began, legend credits the Chinese emperor Shen Nung for its discovery about 2737 B.C.. One day while he was boiling water a tea leaf accidentally fell into his pot. He enjoyed the taste and the lift the infusion produced. When he began sharing the drink with his court, its popularity grew. Soon all of China was consuming tea! The Chinese kept tea a secret for centuries, but it eventually found its way to other lands. Researchers tell us that compressed cakes of dried tea were carried by overland traders into Mongolia and Tibet probably around the 2nd or 3rd century and that Turkish traders bartered for the product in the 6th century. Buddhist monks who had traveled to China took tea back to Japan in the 8th century, but it was necessary to re-introduce it in the 11th century because tea lost favor for several hundred years during a period of cooled relations between the two countries. Most westerners did not taste tea until the 17th century. The Dutch East India Company was the first to introduce the discovery to its customers in 1610 when it brought back green tea from Japan. Within a few years, the drink was so popular that Holland received regular imports from Japan and China. Other countries such as Germany and France became interested too, though with mixed results. Tea finally made its way to England in 1658. Though exposure was initially limited to the aristocracy because it was so expensive, the British eventually embraced tea whole-heartedly. In fact, it was in England that the custom of afternoon tea originated. During the 17th century when most people ate just two meals a day, Anna, the Duchess of Bedford, discovered she could assuage her late afternoon sinking feeling with tea and cakes. When she invited her friends to join her, this popular treat soon became a national tradition. The colonists brought tea from England to America, importing over a million pounds of tea each year. However, British taxes on imported goods eventually caused the colonists great exasperation and led to the revolt known as The Boston Tea Party. On the night of December 16, 1773, American men disguised as Native Americans boarded ships at Boston Harbor and dumped 340 chests of tea into the sea. Colonists were encouraged to give up the brew and set aside their teapots. Although tea consumption eventually resumed, Americans became known more as consumers of coffee rather than tea. However, during the last fifteen years, the United States has experienced a growing interest in tea, especially among the specialty loose tea segment. Driven by aging baby boomers interested in tea for health reasons and by people of all ages who have traveled abroad and tasted good tea, the trend in tea consumption is definitely up. The country is experiencing an increasing number of tea shops and tea houses that are expected to continue.